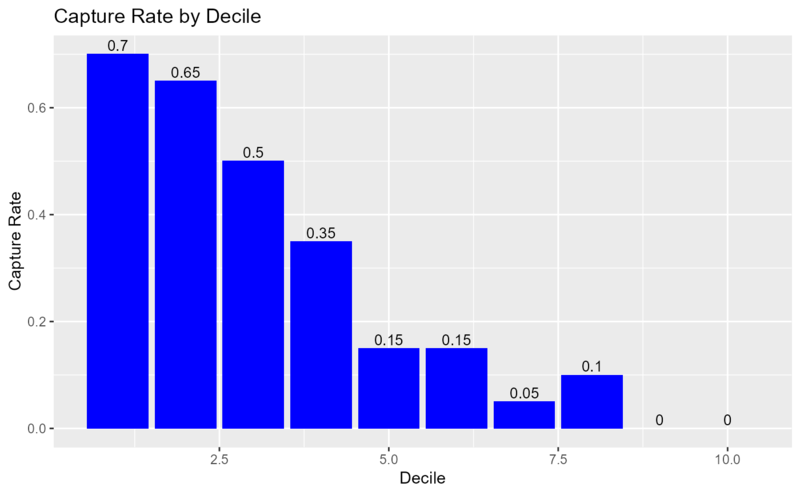 Visualize the decile wise event rate. An object of class blr_gains_table. Size of the bar labels. Vertical justification of the bar labels.